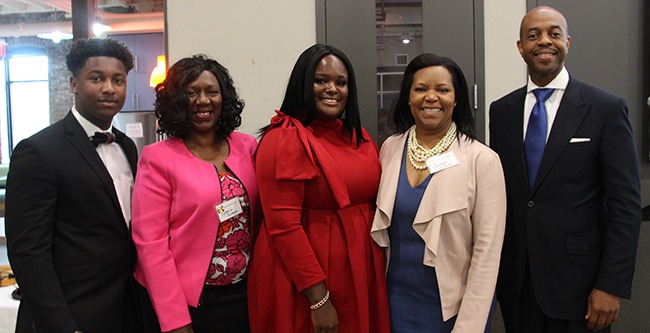 Pictured from left to right are Jordan Owens; Nashville Health Disparities Coalition Co-Chair Cynthia Jackson, PhD; Sierra Utley; Meharry-Vanderbilt Alliance Executive Director Consuelo H. Wilkins, MD, MSCI; and Rep. Rev. Harold M. Love, Jr., PhD at the Faith & Health Summit. NASHVILLE, Tenn. 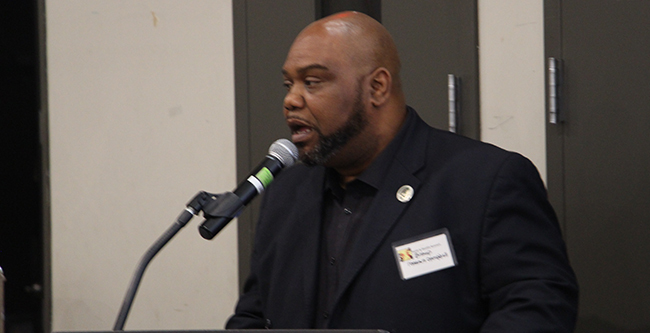 Positive youth development, community resources, youth violence prevention, root causes and resilience – just a few key topics at Saturday’s Faith & Health Summit: Congregations and Youth Resilience. 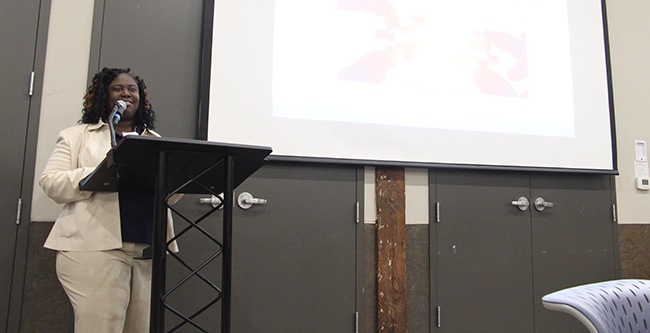 For the second year in a row, the Nashville Health Disparities Coalition’s (NHDC) Faith and Health Collaborative and the Meharry-Vanderbilt Alliance sought to convene the faith based community to support health, well-being and health equity in Nashville. Emmanuel Ehiemua (left) served as the Faith & Health Summit moderator, while Jordan Owens (middle) and Sierra Utley (right) emceed. 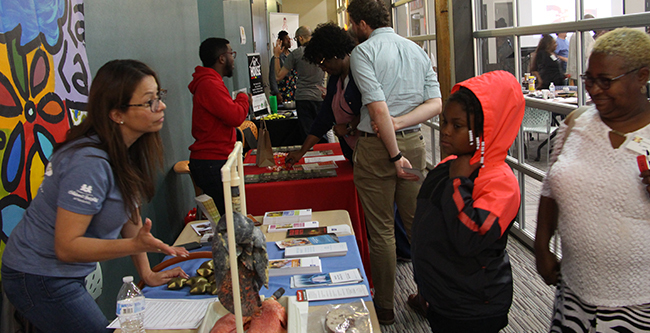 Faith-based leaders, health researchers, community-based organizations and youth braved the rain on May 5, 2018, to gather at the Oasis Center, a community center that offers support to youth and families, for the second annual Faith & Health Summit. 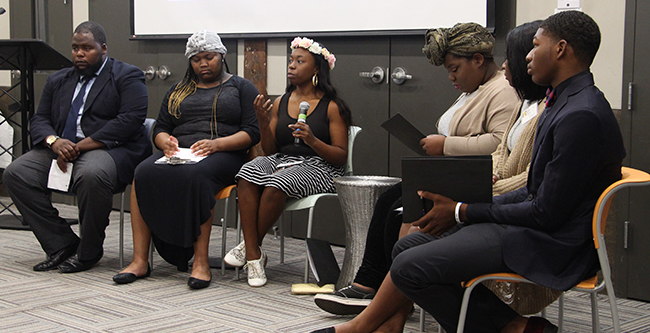 Local members of the faith-based community and youth shared personal experiences, opinions and efforts to address the root causes of youth violence and – more importantly – how to support the movement of positive development and build resilience in Nashville youth. Many highlighted the need for true awareness, support and communication with youth. The Rev. James C. Turner II, M.Div. tells attendees that the Faith & Health Summitt's goals for youth are long-term ones. The Rev. James C. Turner II, M.Div. of New Hope Missionary Baptist Church said their efforts most likely wouldn’t show immediate results. Change, he said, takes time. “Greatness takes work,” he added. Likewise, he urged the youth in attendance not to look for shortcuts in life and to take care who they brought into their lives. “Who you hang around with will determine your future,” he noted. The Youth Panel discusses the current needs of today's youth in order to thrive. 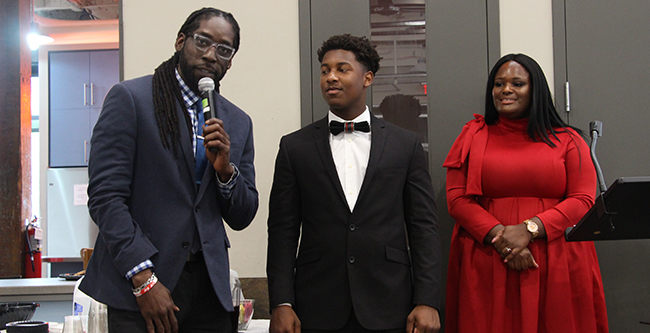 The featured Youth Panel, which consisted of youth from the Oasis Center – Travonn Thompson, Semari Murphy, Alexis Kershaw, Joziyane Ndagijimana, Tamya Hall and Irving Brown – all agreed that, in order for youth to thrive, they needed a supportive environment. She said parents were a child’s first role models and communication between them was vital. He mentioned the efforts of Rocket Town, a faith-based outreach facility that works to improve the lives of Nashville youth. He believed that work, and any other youth outreach work, was something all congregations and organizations should be able to get behind. “We should all be able to come together under one God,” he said. ​Bishop Marcus Campbell talks about his own traumatic childhood and his efforts to keep today's teens from making the same mistakes he did. Bishop Marcus Campbell of Mt. Carmel Baptist Church described his own childhood trauma, and how it led him to a life of crime and, ultimately, prison. Violence, anger and trauma were a big part of his youth, the former gang member explained. As a child, he witnessed his mother suffering violent abuse at the hands of his father. His mentoring program – Gentleman And Not Gangsters (GANG) – is an effort to prevent today’s youth from making the same mistakes. 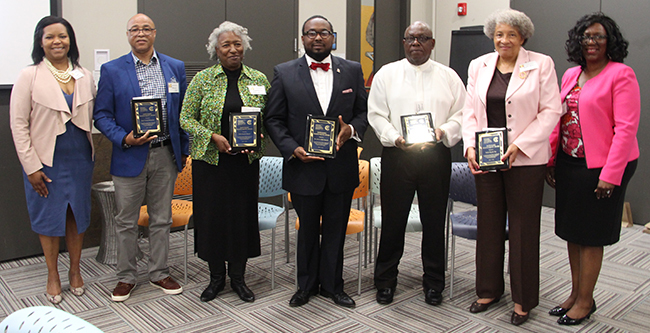 Rock United Ministries; New Season Church; St. James AME Church; Fath, Hope & Love Fellowship; and Faith Church, Inc. received this year's Faith-Based Health Equity Awards. 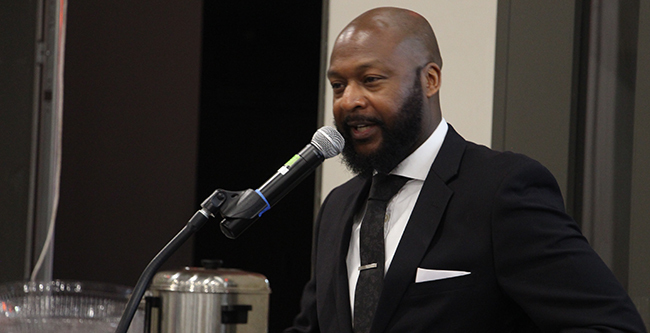 “Health equity is achieved when every person has the opportunity to attain his or her full potential, and no socially determined disadvantages exist,” Wilkins commented. Rep. Rev. Harold M. Love, Jr., PhD says the Faith & Health Summitt is working toward a better tomorrow. Rep. Rev. 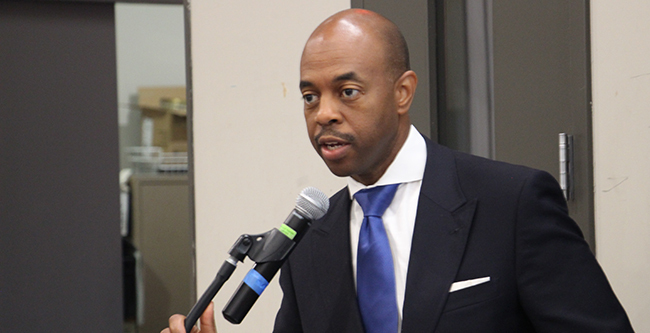 Harold M. Love, Jr., PhD – pastor of Lee Chapel AME Church, State Representative, and a 2018 Mayoral Candidate for Nashville, told attendees that efforts like the Faith & Health Summit were working toward more than just improving the community. They were working toward a brighter future. Faith-based institutions, he believed, would have to lead the way. Juvenile Court of Metropolitan Nashville and Davidson County Judge Sheila D. Calloway calls for compassion and understanding for those in need. Juvenile Court of Metropolitan Nashville and Davidson County Judge Sheila D. Calloway urged everyone to offer compassion and support to those who need it. During the Summit, Vendors discussed ways to promote and advance community health. Here, Angelica Deaton of the Vanderbilt-Ingram Cancer Center exhibits a cancerous lung to attendees. This year, 12 vendors attended the Faith & Health Summit to promote community health and resilience. Breast Cancer Awareness – Echoes of Hope, Inc.
NHDC meetings are held every third Thursday of the month at Matthew Walker Comprehensive Health Center. For more than 25 years, the NHDC has worked tirelessly to empower community members in priority population groups to seek better health, help change local healthcare practices, and mobilize communities to implement evidence-based public health programs to reduce health disparities across a broad range of conditions. If you are interested in joining the Faith and Health Collaborative, please contact Jacquelyn Favours at Jacquelyn.s.favours@meharry-vanderbilt.org or call (615) 963-2817.